What is your Memoir of Madness? We all have one. 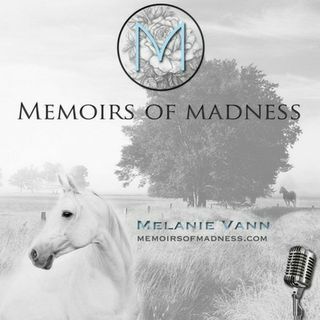 Memoirs of Madness podcast is part of the Mental Health News Radio Network. Host Melanie Vann, masters level psychotherapist, life coach, and equine therapist is the Program and Advocacy director for MHNR Network. She is also co-host on another network podcast Empowered Empaths. Melanie has over 15 years experience in the mental health field. She has worked with a multitude of populations to include those who suffer from depression, anxiety, ... See More bi-polar disorder, schizophrenia, eating disorders, and many more. What she learned from her experience as a clinician is that she gained much more from her clients that she could have ever offered them. She was inspired by those who persevered despite chronic mental illness and multiple traumas. She interviews real people who tell real stories of their experiences with mental health and how they overcame obstacles to find hope and healing.